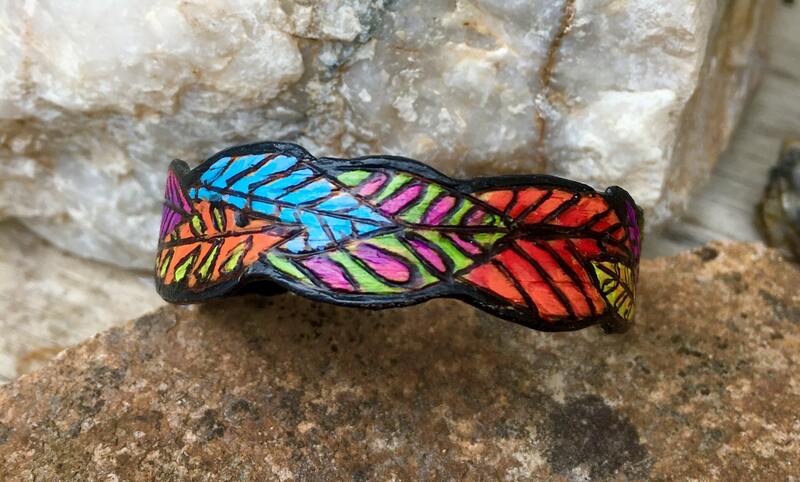 This unique bracelet was made from wood, from forming the cuff, to cutting and sanding the edges, to woodburning the one of a kind design, then painting, detailing and sealing the cuff and finishing it with a sterling silver adjustable clasp. 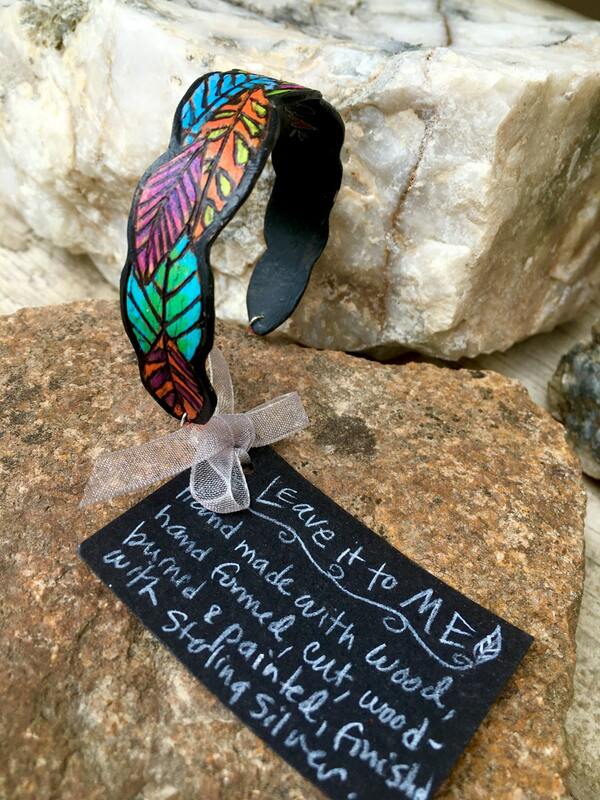 Wooden cuff bracelets have a tiny bit of give but vary slightly in size. Sizes range from about 7 1/2 to 8 inches and are adjustable. This particular bracelet runs small. 7-7 1/2 inches or so. All jewelry comes with a handwritten description card and a box with the Jenny T. Designs logo on it.